This passage falls into a cycle of miracle stories that demonstrate the efficacy of God's word and the authenticity of the prophet Elijah. Here in chapter seventeen, the prophet has travelled into Phoenician territory - a foreign land that served Baal rather than the Lord. In ancient cultures, the gods were understood as territorial and it would therefore be a surprise if the representative of the God of Israel could work wonders here on alien soil among strangers. And yet, this will be the case. The widow of Zarephath and her household benefit from the providential care of the Lord through their encounter with Elijah. Elijah has asked that the woman feed him from the last of her food in a time of famine. She does so and receives the promise that here flour and her oil will provide for her and her household until the end of the drought induced famine. In the current verses, she experiences further calamity as her son sickens and dies. She expresses her fear that the power of this prophet in her household has brought the death upon her. She is a sinner in the presence of the holy prophet and she experiences her loss as a punishment for those sins. She does not appear to have any expectation that Elijah can assist her in her loss - her words are more lament than supplication. Nonetheless, Elijah will take the boy and pray to the Lord restore the boy to life. The Lord responds to the prayer and Elijah restores the son to his mother. Now we see the power of the Lord's word and His prophet at work even here in the so-called territory of Baal. The Lord God of Israel is not limited by geography nor even by the boundaries of life and death. The woman's acclamation of Elijah in response is an expression of faith towards the God Who has done this great work for her. This individual Psalm of thanksgiving celebrates God's power to deliver the faithful from death and restore them to life. 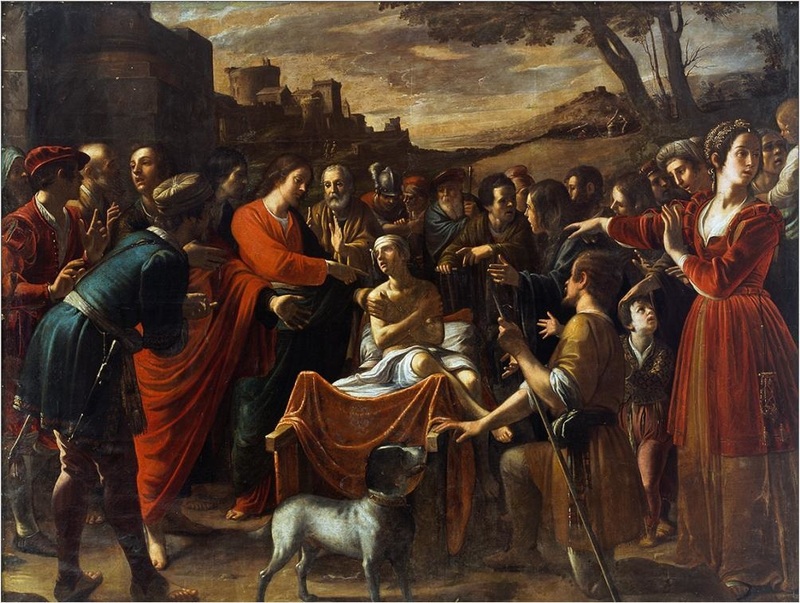 It is probably a celebration of deliverance from mortal illness rather than a miraculous raising of the dead like the miracles recounted in today's readings. Nonetheless, it is a fitting acclamation of the Lord of Life. Paul's dramatic life story turns on the fulcrum of his encounter with the Lord Jesus on the road to Damascus. In a very real sense, Paul is born anew after the encounter. He is transformed from a man who deals death to one who will pour our his life in the service of the Christ. In his letter to the Galatians, he addresses the problem of other preachers who have arrived in the city after his departure. Paul had taught the Galatians that their salvation was to be found in the Christ - they would become new as he himself had been renewed. Paul did not impose on those Gentile converts any ritual observance of Jewish law. Nonetheless, other Christian preachers now worked to convince the Galatians that Paul had instructed them incorrectly. These new preachers wanted the Galatians to observe Jewish purity and ritual codes as part of their Christian life. It appears that they also cast doubt on the authority of Paul - they may have claimed that he was subject to the leaders in Jerusalem - and these new preachers claimed the authority of Jerusalem. So now we hear Paul stress his authentic Jewish credentials even as he reminds the Galatians that his call and his authority did not come from the Jerusalem Church, but directly from the Lord. And the remarkable depth of the change that occurred in him gave evidence of this direct effect of the Christ. This uniquely Lukan account touches on key themes of that gospel - the compassion of the Lord Jesus for the poor and marginalized and the transformative, life giving power of the presence of the Lord. Here we are told that the woman is widowed and that her only son has died. This combination sentences her to a life of extreme poverty and likely death. 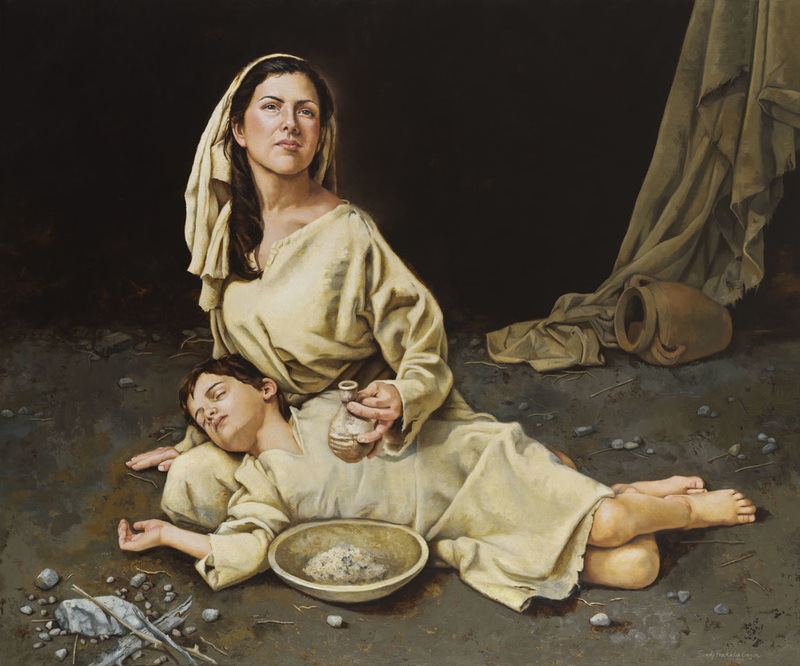 Like so many poor ones in Luke-Acts, she will see here fortunes reversed by the Lord Jesus Who will demonstrate His compassion for her and for her lost son. The story parallels the widow in First Kings with one very telling difference. Recall that Elijah raised the widow's son by interceding with the Lord. Jesus directly commands the dead man to rise. He is not interceding, He is exercising the divine power of life and death. The reaction of the crowd - fear and wonder - confirms the unique and overwhelming nature of what has come to pass.